at our website menacabins com. stove. It is only 400 sq. are no smoking inside and no pets. 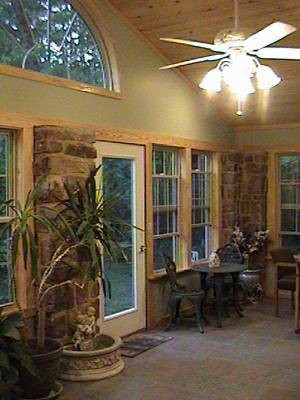 Garden room, stream and Waterfall, cottage gardens at Willowbrook. 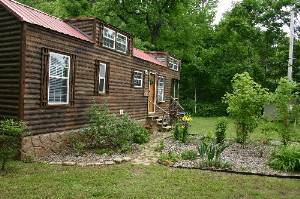 Wildflower gardens and woods at Woodhaven Cabin. 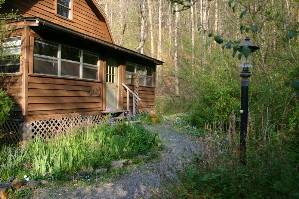 Private setting with stream and woods and sunny grass at Sunnybrook Cabin. Within 30 miles of world famous clear Cossatot River where you can see the bottom, fish or swim (Vandervort Cossatot State Park). Within 40 miles of Lake Ouachita with water skiing and swimming. 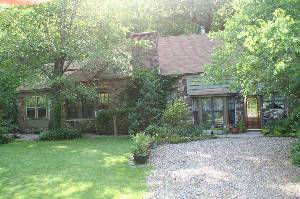 You won't believe all you get for your money at Willowbrook, a storybook cottage! Just behind Willowbrook cottage is a bubbling brook. Most of the year there is a waterfall too! Enjoy the waterfall and flower gardens at Willowbrook from the comfort of your sitting room! Enter through ivy covered stone gates to your own wonderland of flowers, waterfall, and pure peace that is Willowbrook! If more rustic but cozy and comfortable is your style, you'll love this western cedar cabin at the edge of the National Forest, with easy short access from paved road. 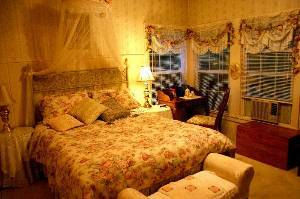 Charming Victorian Rose Room at Willowbrook Garden Cottage has a view of the waterfall. Incredible! We arrived at Willowbrook and just kept going from room to room, exclaiming to each other about all the unique things we discovered. 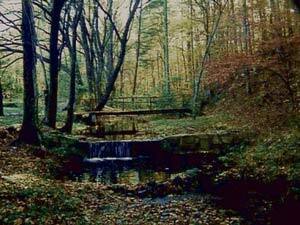 The waterfall and wooded hillside were so great too. The quiet and peace was what we wanted. We will be back. 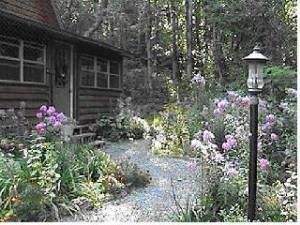 This 100 year old cottage is so beautiful it's like escaping into a Thomas Kinkade painting. Very quiet, peaceful and serene. The guys liked it as well. If you'rw looking for somewhere to escape the everyday rat race. This is the place to come and renew your spirit and soul. We will definately be back. . This was the perfect get away! I'd just finished finals and wanted to escape my life and just relax. When I saw the pictures I was thinking this place looked too good to be true. It was absolutely perfect! I relaxed some, went walking through the trails, enjoyed the waterfall and the babbling brook. This was just perfect. I think it'd be perfect for a romantic weekend away. I went alone and still loved it! Thanks for making it available. Gorgeous! I'm telling all of my friends to GO!! . The cottage was very comfortable and spacious. The gardens were beautiful and attracted all types of butterflies. 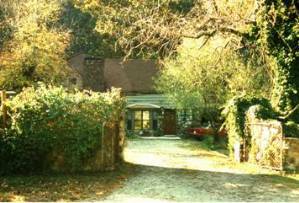 "Your cottage is so peaceful; it was just what we needed. Hate to go home!" J.M. "I felt like I was in a romance novel..."
"Your cottage was more than we dreamed! Thanks so much for letting us stay in your charming home." "The peace and serenity and beauty at Willowbrook was amazing. We plan to return soon..."
"I felt like I was in the middle of a romance novel...we hated to leave." Deposit: Payment at time of reservation.. Cancellations and Refunds: Refund less $35 up to four weeks before date. If we can rebook, we refund even after that,less $35 booking fee.